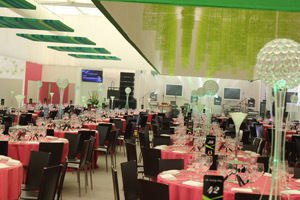 Event lighting company Table Art provided illuminating table centres for the Compass Charity Ball at Wimbledon Tennis Championships on Sunday (1 July). Table Art created an illuminated martini glass and crystal globes for the event. This is the second consecutive year it has provided the centrepieces for the ball, held at The All England Tennis Club’s Gatsby Club. 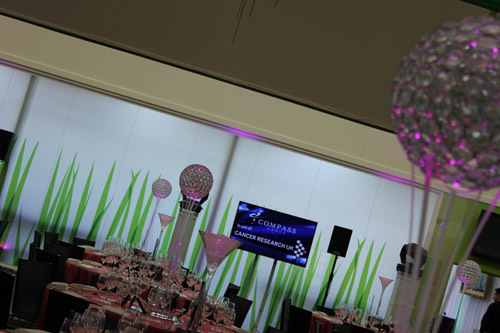 Table Art worked alongside caterers Compass Group and hospitality provider Keith Prowse to stage the event. 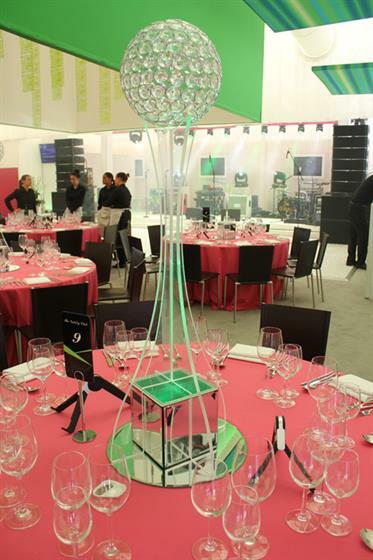 Gary Martin, founder and managing director of Table Art, said: "We were thrilled to be chosen to provide our interactive centre pieces for this highly prestigious sporting event. "The centre pieces looked amazing on the night. Our sophisticated LED technology meant we were able to match corporate colours of the venue, green, purple and white to complement [the event’s] theme and vision." Comment below to let us know what you think. For more in-depth and print-only features, showcases and interviews with world-leading brands, don't miss the next issue of Event magazine by subscribing here.